This pesto is LOADED with healthy fats and is creamy and delicious to boot. The avocados and olive oil both provide those Mediterranean monounsaturated fats while the hemp seeds provide essential, anti-inflammatory omega 3 fatty acids. The hemp seeds are also a great plant-based source of protein (one of the few providing all 9 essential amino acids). So this recipe is doing all sorts of good for you! It’s also super decadent tasting and delicious on so many different foods (suggestions below). Bonus, it takes under 10 minutes start to finish! The healthy fats in the tahini and ghee combine to make this cauliflower taste nothing short of decadent. It’s a quick recipe to whip up and I always crave it, so it has become one of my meal prep staples! It’s friendly for almost all diets, to make it vegan, you can switch the ghee to coconut oil. I hope you love it as much as I do! This grain-free recipe is fluffy like oats but is a great alternative for anyone trying to avoid oats and grains (paleo, Whole 30, etc.) it's also a great way to fill up on vegetables! I love having these as breakfast or a snack and pairing with some nut butter, fruit, or a roasted root vegetable like delicata squash or sweet potato. The recipe is very simple but takes a little while to make. I like to do it while I'm meal prepping other items so I can multi-task as the liquid is absorbing. This dip has a touch of sweetness and a thick consistency that makes a delicious snack by itself or paired with toast, veggies, oats and more! Beets have so many health benefits and it's a great way to sneak in an extra serving of vegetables. Beets help with heart health, can improve our cardiovascular abilities and can even help speed up our metabolisms. You can buy your own collagen on Amazon here. Or on the Further Food website you can save 10% with code START10! Be warned now, these taste DANGEROUSLY close to real cookie dough, and thus are very addicting. However, lucky for you, they're super clean! 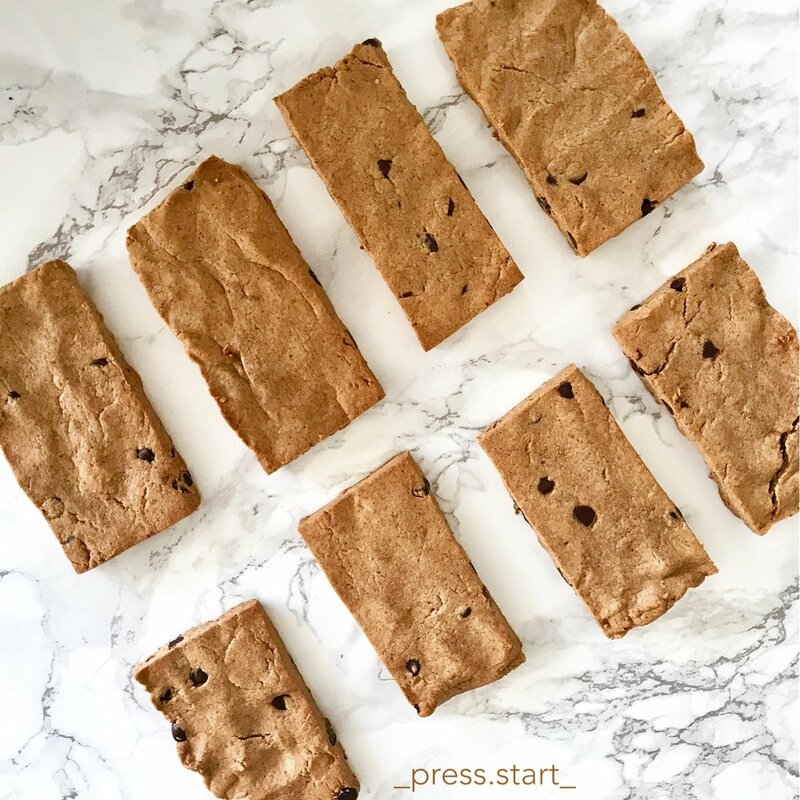 They really need no other formal introduction other than that, they're basically protein and nutrient rich cinnamon cookie dough. What could be better?! 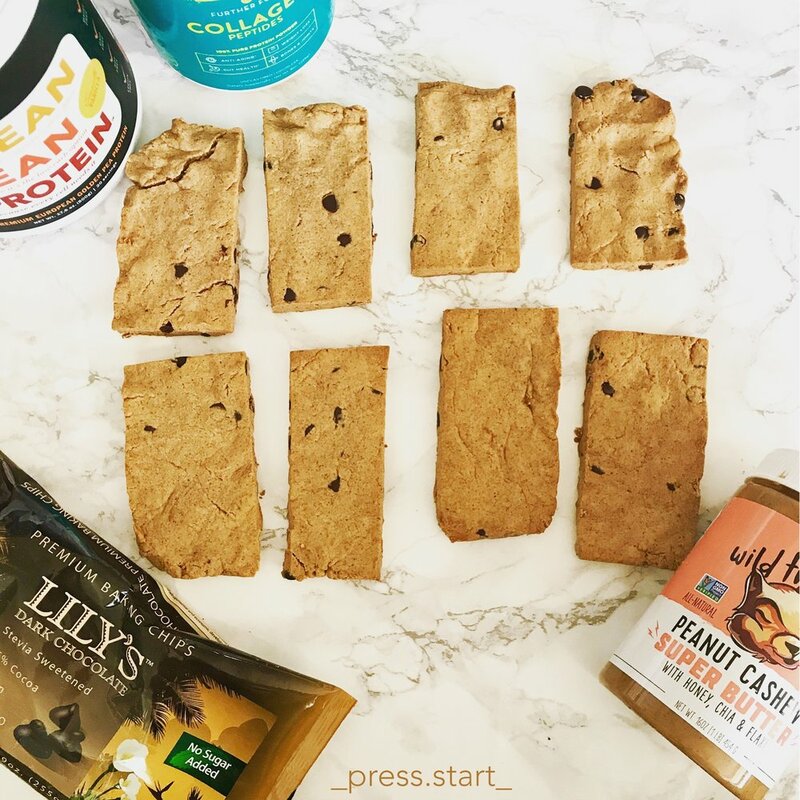 These are the perfect portable and clean snack to replace store-bought protein bars which can be full of sugar, chemicals and other processed junk. 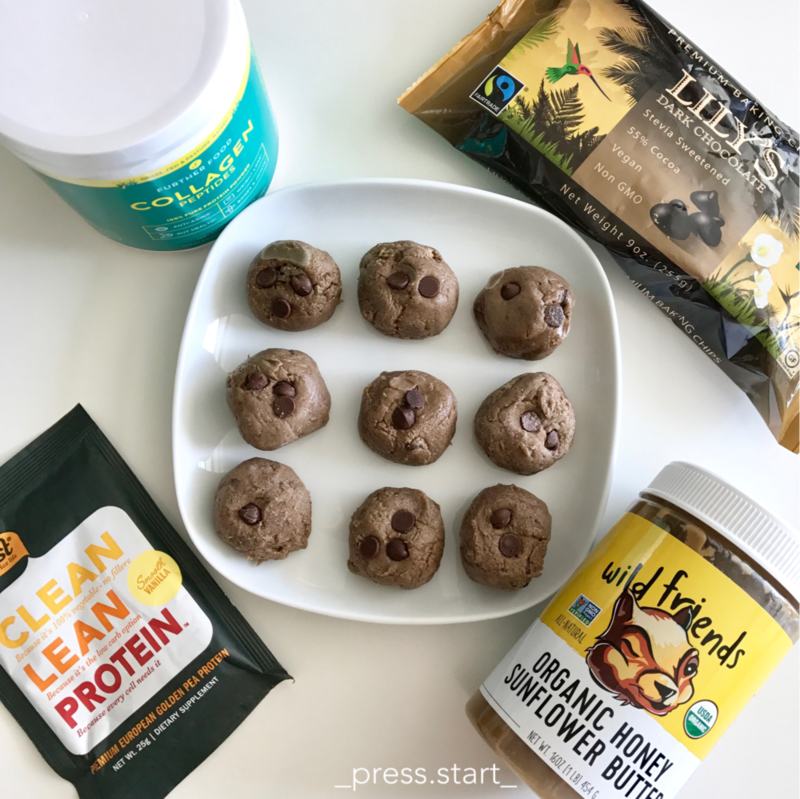 These contain only a few simple, wholesome ingredients and are great for on the go or satisfying that sweet tooth! This lemon tahini dressing is DELISH and refreshing! Do you need another reason to make it? Plus it's nut-free and massaged into kale it's divine. Enough said, it's easy and keeps for a while in the fridge. Sweet potatoes (when cooked right) are a great source of resistant starch. Resistant starch acts as a fiber and resists digestion in the small intestine which means it's less calories per gram than regular carbohydrates, it feeds your gut microflora (the good bacteria) and increases fiber intake! Also these waffles are SO yummy, full of real foods, and packed with protein without protein powder PLUS they sneak some zucchini in for extra veggie power not to mention they're 100% grain-free! You can order your own cassava flour here. I call these balls "basic" in the MOST endearing way possible. They use only basic ingredients that you probably already have in the house, BUT they're not basic in terms of how delicious & nutritious they are. PLUS you can add a bunch of non-basic superfood ingredients if you like, to dress them up. But they're good just plain and simple. These grain-free cookies are big, fluffy, satisfying and contain NO processed ingredients! So they're clean as can be! Plus added bonus - they fill you up with an extra boost of collagen protein. You KNOW you will want dessert, so why not make it healthy to boot! I love finding creative ways to include vegetables in my smoothies (or smoothie bowls). Root veggies are some of my FAVORITE to include post-workout, since they get you those good, slow-release carbs to help your muscles recover and rebuild, they're super delicious, and most importantly CREAMY! See below guidelines, but feel free to make it your own. This turmeric tahini (TT AKA T squared) dressing is a great way to add flavor to any dish. It's full of healthy fats, nut-free, and has anti-inflammatory turmeric! As most of you know I don't encourage restriction for the sake of it, nor do I encourage diet labels. These waffles aren't healthy because they don't contain grains OR because they are paleo, they're healthy because they're packed with nutrients & real foods & are minimally processed. And they're delicious for all those same reasons, plus they're SUPER fluffy and pack in half a serving of veggies without really noticing - hooray! If you don't have a waffle maker I highly recommend you get one to make these. You can order your own cassava flour here. Nothing too special about this broccoli recipe except that it is my FAVORITE and I make it almost every week. Simple to meal prep, lasts for a while, and SO rich in Vitamin K, Vitamin C, Vitamin E, fiber, Vitamin B6 and more! You can mix up the spices or the fat to change the flavor to match whatever you're pairing it with. I really try to avoid packaged snacks, especially protein bars, when possible. They're full of sugar and processed ingredients. This is why I try to make a batch of my own protein-dense snacks each week. I have trouble making things stay in bar form so I usually make a batch of energy balls. They're pre-portioned, portable, and I fill mine with nutrients! These turmeric ones have the medicinal, anti-inflammatory, immune-boosting powers of turmeric, protein for healthy bones/joints/skin/hair from collagen, tons of healthy fats, and almost no carbs or sugar. Make a batch and let me know what you think! I will NEVER get rid of my sweet tooth. So might as well invent some healthy desserts right? I love these dark chocolate almond butter cups because not only are dark chocolate and almond butter two of my favorite things on the planet, but that a hint of salt is the perfect balance to this dessert. I like to customize mine with different types of nut butter or "add ins" like quinoa crisps (think healthy rice crisps) for extra crunch and collagen peptides for extra health benefits. I have made them both mini or big, so this recipe is just approximations, and you can make it your own! Beets have SO many health benefits. They are full of nitrates, which means they help our blood carry more oxygen. More oxygen means we have improved cardiovascular endurance! Plus they help our mitochondria grow. Mitochondria are the "powerhouses" of our cells so this means more energy AND improved metabolism. Not to mention they are rich in immune-boosting vitamin C, potassium (for nerve and muscle function), manganese (for bones, liver, kidney AND metabolism). The list goes on... long story short, make these beet berry balls! I love this flavorful, easy way to give cabbage an Asian flare. The ginger also has added anti-inflammatory benefits! I love to cook a big batch on Sundays and pair it with everything during the week (put it on salads, eat it as a snack etc.) It keeps pretty well. These bite-sized snacks will have you feeling like you're eating raw cookie dough! 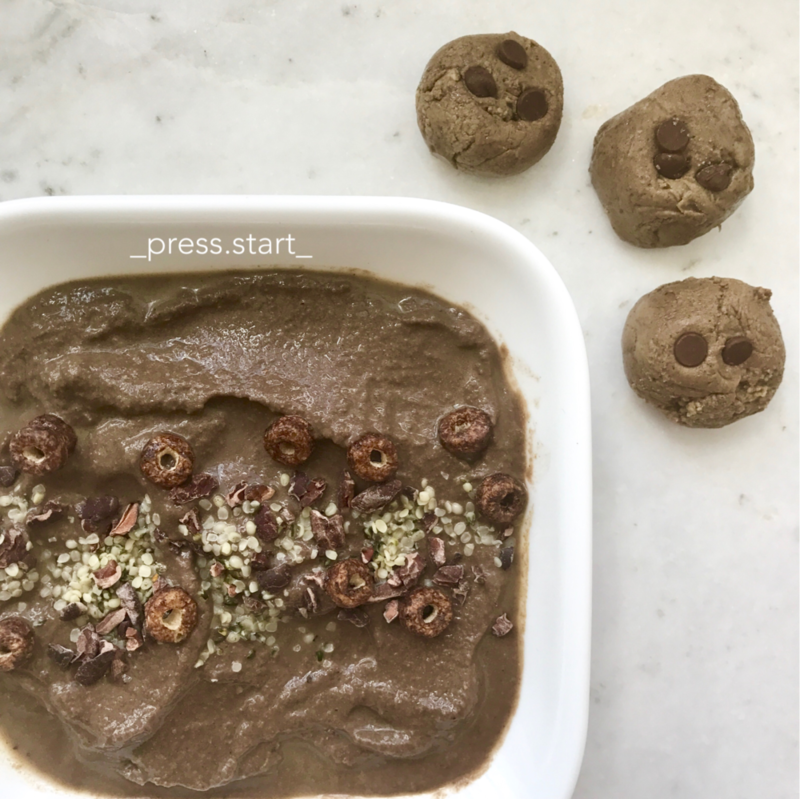 But you won't get salmonella AND they're super healthy for you - win win :) Made with chickpeas, nut butter, a bit of protein and cacao nibs for that superfood power, they're simple, healthy & delicious.